Mrs. Jerry Emmett earned her Bachelor of Science degree in Elementary Education at Northern Arizona University (then known as Arizona State Teacher’s College of Flagstaff) in 1937, and a Master of Arts degree in Education from NAU (Arizona State College of Flagstaff) in 1957. Jerry’s illustrious professional career includes teaching for nearly fifty years in schools across Arizona from Kayenta on the Navajo Reservation to Seligman and Tombstone, to Scottsdale and Phoenix. As a retiree, Jerry works to bring people together through dedicated volunteer work. 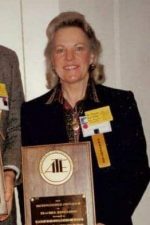 The Jerry Emmett Education Scholarship was created to honor her life accomplishments, and benefits students majoring in education. 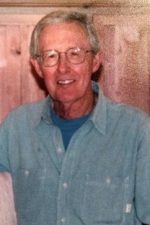 Mr. Harry Hengl earned a Bachelor of Science degree in Zoology with a minor in Chemistry from Arizona State University in 1969. He earned a Master of Arts degree in Education at Northern Arizona University in 1976. Mr. Hengl has maintained strong relations with NAU through his service on multiple boards including the Alumni and Foundation Boards. He received the NAU Alumni Association’s Joe and Marie Rolle Spirit of NAU award in 2009. He served as a secondary school educator at Kofa High School in Yuma for twenty-eight years, and he was recognized with the Arizona Board of Regents Award for Outstanding Service to Higher Education in 2014. Dr. Eugene Hughes earned degrees in mathematics, including a B.S. from Chadron State College, an M.S. from Kansas State University, and a Ph.D. from George Peabody College of Vanderbilt University. 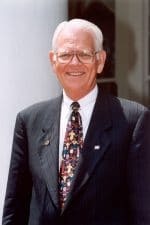 Dr. Hughes was NAU’s 12th president, serving from 1979 to 1993. He led an initiative that resulted in the formal establishment of NAU’s Center for Excellence in Education (CEE), and engaged faculty, educators, politicians, and policy makers in re-conceptualizing the education of school professionals with an overarching commitment to student-centeredness. As a part of the CEE, he implemented the award of an Honorary Doctorate to the Arizona Teacher of the Year and helped establish field sites on the campuses of Arizona’s community colleges. 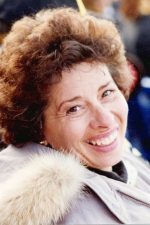 Dr. Margaret Ann Hughes earned her doctorate from Northern Arizona University in Educational Administration in 1981. 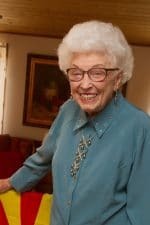 Her legacy at NAU is substantial, which includes directing new initiatives in admissions and new student programs. Dr. Hughes used innovative approaches for outreach to prospective students and their families. She engaged and trained current students to take on leadership roles in new-student recruitment. Under her leadership, enrollment at NAU, both in Flagstaff and statewide, increased substantially. Dr. Hughes later taught in the NAU Center for Excellence in Education (today known as the College of Education) where she was lovingly known as “Dr. Mom.” and was valued as a supportive and knowledgeable professional in her field. 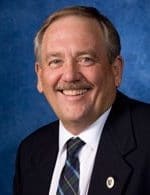 Dr. Joseph Shepard earned a Bachelor of Science degree in math education from Northern Arizona University in 1987, Master of Business Administration from the University of North Texas, and a doctorate from Florida International University. 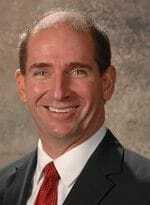 Dr. Shepard is a founding member of Florida Gulf Coast University and served over 15 years in senior level leadership positions in higher education. At the time of his departure in 2011, FGCU became a thriving university that had grown to over 460 faculty with a total workforce of nearly 2000 people serving 13,000 students. As of 2014, Dr. Shepard has served as the President of Western New Mexico University. Dr. Peggy Ver Velde was recruited by Dr. Eugene Hughes to be an integral part of the Center of Excellence in Education (today known as the College of Education) at Northern Arizona University. Dr. Ver Velde was co-creator and director of the NAU “Block” program, an innovative program that brought teacher education to the public schools in Flagstaff and other Northern Arizona cities. The program earned NAU’s education curricula a sterling reputation among its peers. To this day, NAU is known for producing some of the best teachers in the state of Arizona thanks to Dr. Ver Velde’s work. Dr. Ray Ver Velde was recruited by Dr. Eugene Hughes to be an integral part of the Center of Excellence in Education (today known as the College of Education) at Northern Arizona University. He served as Associate Dean in charge of building relationships with Arizona K-12 public schools and led the development of the first “statewide” program offerings from NAU. Dr. Ver Velde was acknowledged by the Navajo Nation for his contributions to higher education among Navajo students. He was honored with the Chief Manuelito Award, the highest award given to a non-native.